7 Day Zhangjiajie to Guilin Tour including spectacular scenery! ​Join our team for this 7 Day Zhangjiajie to Guilin Tour and adventure across a number of attractions from Zhangjiajie to Guilin. 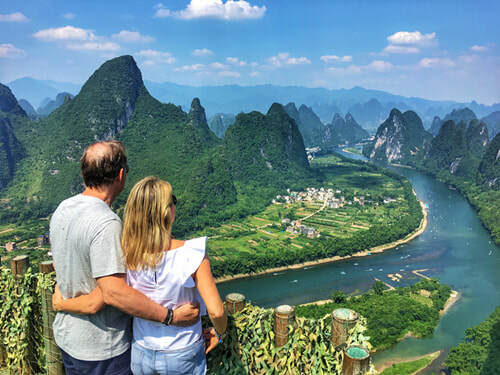 Including spectacular natural scenery, insight into local cultures and magnificent sightseeing, the Zhangjiajie to Guilin Tour is the perfect tour for visitors looking to experience everything that Zhangjiajie and Guilin has to offer! 9:00 am: Meet at your Wulingyuan Hotel Lobby. 7:00 am: Meet at your Wulingyuan Hotel Lobby. 9:00 am: Meet at your Fenghuang Hotel Lobby. Please note, for a selection of recommended Zhangjiajie to Guilin Hotels for you to book, please contact us directly! Arrive into Wulingyuan the day before your tour is scheduled to begin or alternatively, activities/itinerary/day order can be changed to reflect your arrival time. 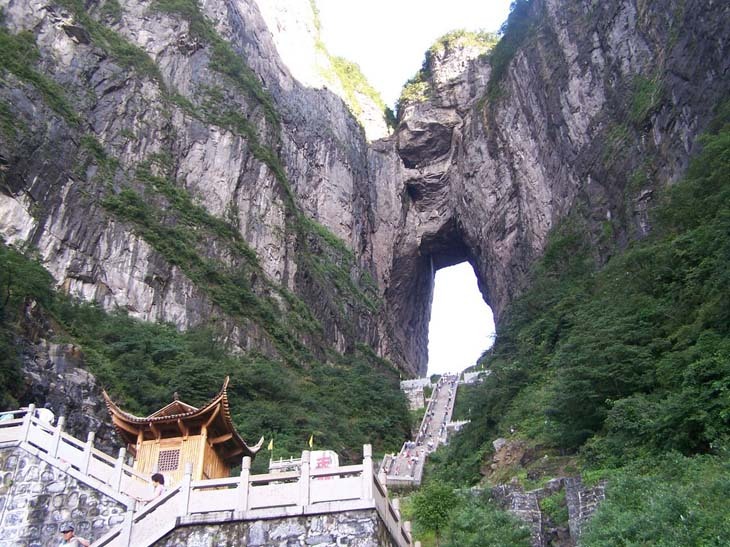 The tour can also commence from Zhangjiajie City if preferred or upon arrival. Begin the day by visiting Tianzi Mountain in Zhangjiajie National Park. Tianzi Mountain is one of the four main scenic spots in Zhangjiajie providing spectacular views overlooking the various peaks and valley. Following the visit to Tianzi Mountain, travel to the Yuanjiajie Scenic Spot, which is one of the most spectacular areas of Zhangjiajie. It was made famous by the movie Avatar which features this section of the park throughout the movie. You will also take the Bailong Elevator, which is a glass elevator built into the side of a cliff within the Zhangjiajie National Park. In the afternoon, return transfer to your Wulingyuan Hotel for an evening at leisure. Today the activities will depend upon your departure time from Zhangjiajie. 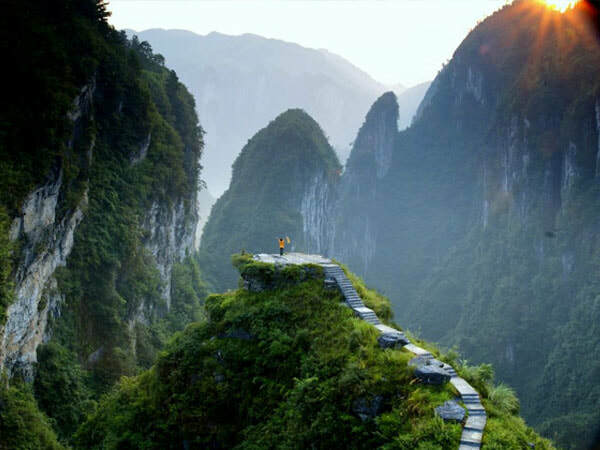 However, the plan is to have an early morning start (7:00 am) to visit and hike along Golden Whip Stream, which is a scenic trail winding through Zhangjiajie alongside the River. 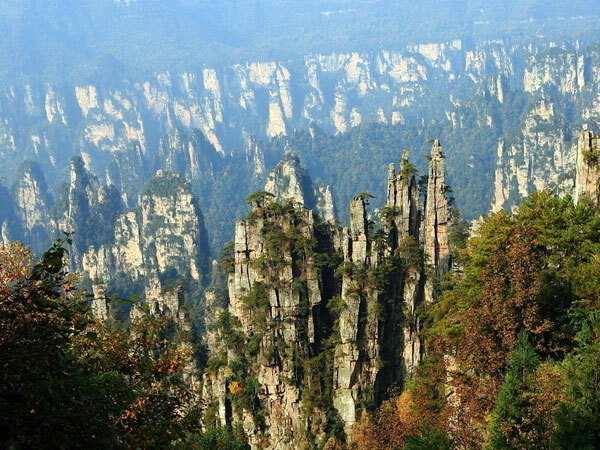 Thereafter, visit Yellowstone Village within Zhangjiajie National Park and further explore the park in the afternoon. After the afternoon park tour, you'll be transferred back to your Wulingyuan Hotel to enjoy the afternoon and evening at leisure. 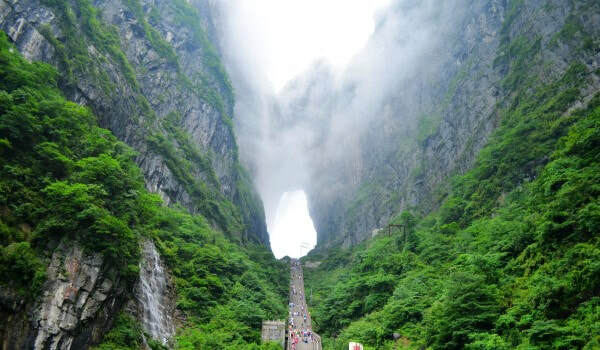 In the morning, you wll meet your tour guide and driver at your Wulingyuan Hotel lobby and enjoy the morning visiting Ten Mile Gallery within Zhangjiajie National Park. 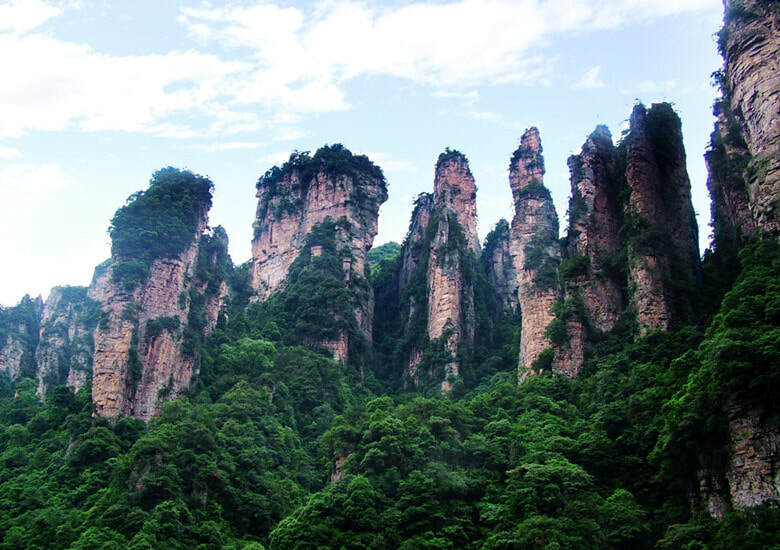 Thereafter, depart the Zhangjiajie National Park and transfer to Zhangjiajie City, where Tianmen Mountain is located. Today's tour activities will commence with meeting your guide and driver at your Zhangjiajie City Hotel. 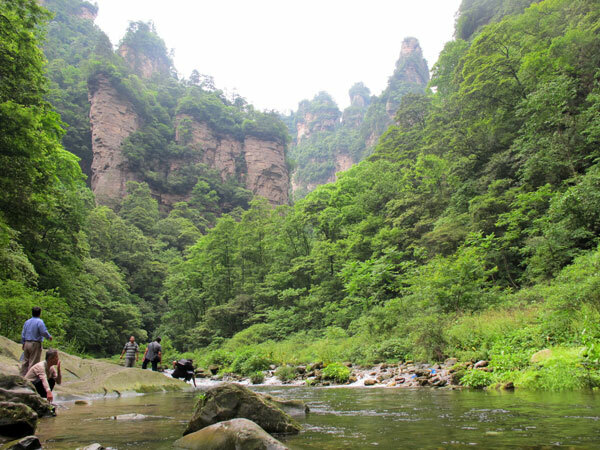 Thereafter, depart from Zhangjiajie and travel to the small Miao village hamlet of Dehang. Dehang is a quiet village that has only recently opened to tourism but the highlight of the visit here is to an incredible viewpoint. You'll exploe the village and viewpoint followed a stopover at Aizhai Bridge. Aizhai Bridge is the world's highest tunnel-to-tunnel bridge, located near Dehang Miao Village, between Zhangjiajie and Fenghuang. The engineering of this birdge is incredible with a glass walkway and Aizhai Bridge is a great stopover to vsist. 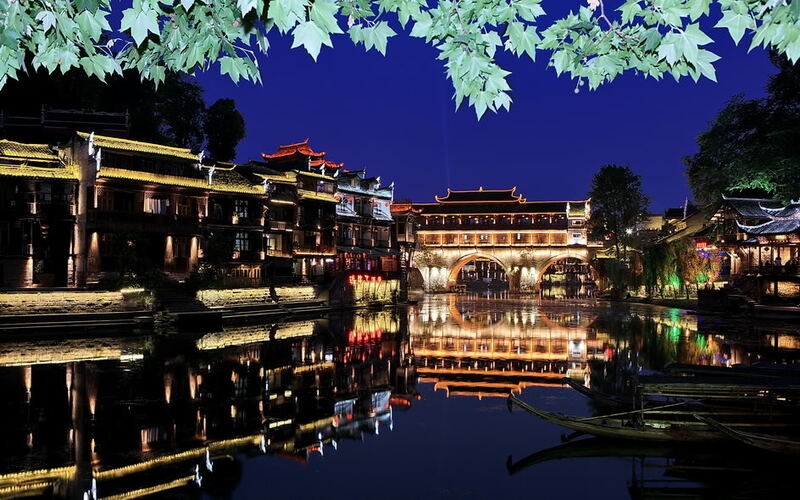 Thereafter, transfer to Fenghuang and enjoy the late afternoon/early evening explore Fenghuang Ancient City. The evening is at leisure in Fenghuang. In the morning, meet your guide at your Fenghuang Hotel Lobby and commence the day by exploring the ancient city. Thereafter, depart Fenghuang and visit the quiet ancient town of Qianyang. This ancient town is one of Hunan province's most famous and still not on the radar of mass tourism, meaning it's a peaceful local town. Following Qianyang Ancient Town travel to Wanfo Mountain. Wanfo Mountain is a famous Danxia formation - which looks a little different to the karst scenery in and around Yangshuo. 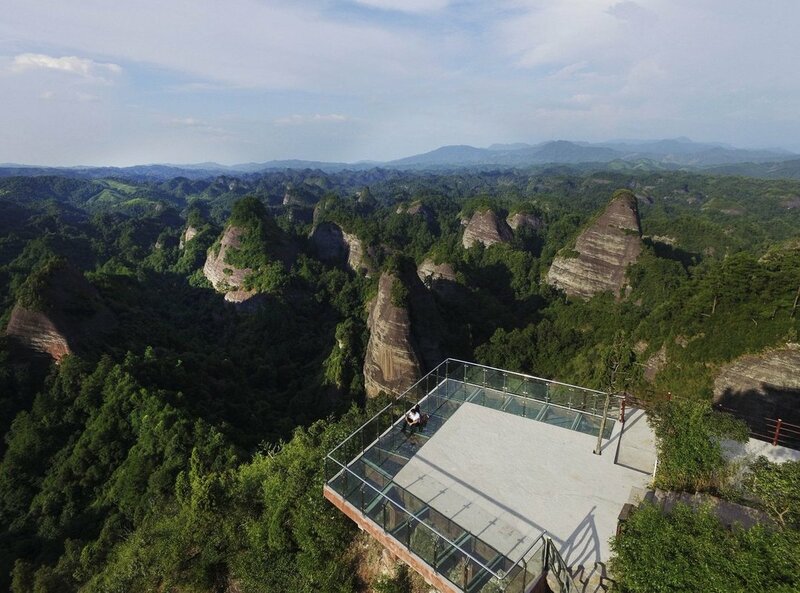 Visitors will hike up to the top of the mountain, which provides surrounding danxia formation views as far as the eye can see! After the visit to Wanfo Mountain, you'll be transferred to Ping'an Village. From Wanfo Mountain to the Longji Rice Terraces, it takes approximately 2 x hours to drive. 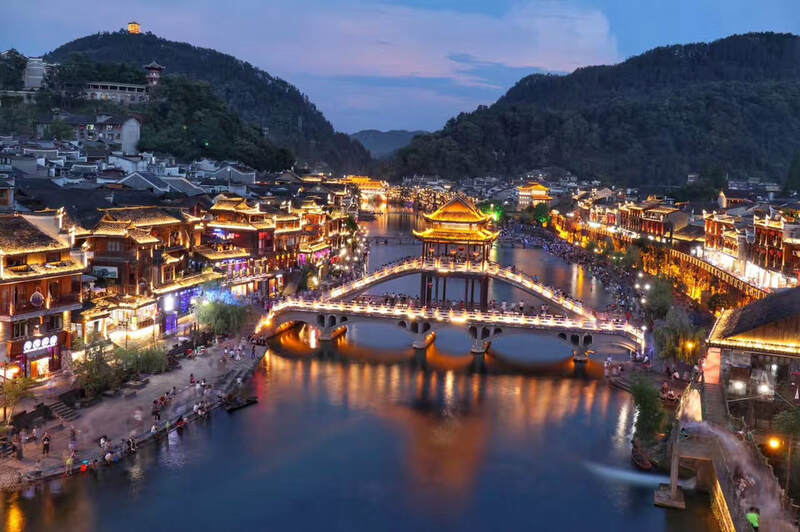 During the late afternoon you'll arrive into Ping'an Village carpark and depending upon the location of your hotel within the village, walk up the main road to your hotel. 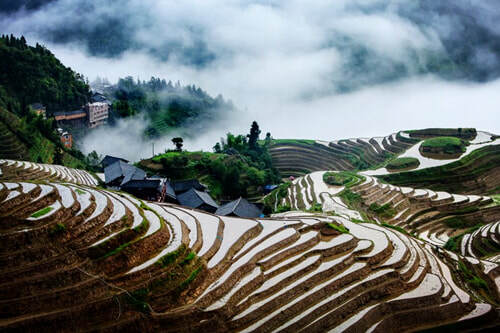 Ping’an Village is the main Zhuang ethnic minority village at the Longji Rice Terraces. Surrounding (and throughout) the village there are various different viewpoints overlooking the Rice Terraces so depending upon your arrival time, exploring the village and viewpoints is an option. The evening will be at leisure staying overnight at your hotel in Ping'an Village. 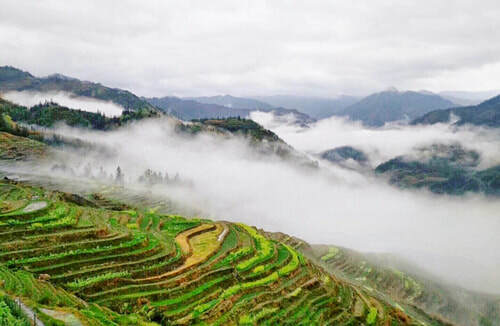 During the morning, explore Ping'an Village and the different viewpoints before departing and walking from Ping'an Village to the Longji Zhuang Village. This walk takes approximately 45 minutes and is predominantly downhill along the Rice Terraces walking trails. The trails between the villages are a more scenic route compared to the road transfer option but this can be accommodated too if preferred for the transfer. Upon arrival at the Longji Zhuang Ethnic Minority Village and explore the village with its old architecture and experience life first-hand. 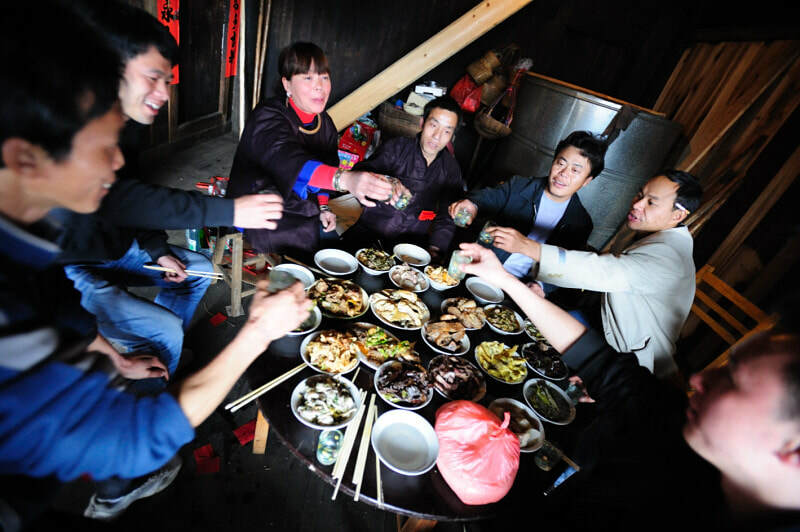 For lunch, enjoy a traditional meal in a local family’s house (cooked in a restaurant kitchen). The meal of Bamboo Chicken/Bamboo Rice as well as vegetables is cooked in a licensed restaurant kitchen (to ensure food sanitation & health standards), making this is a very unique experience for visitors. 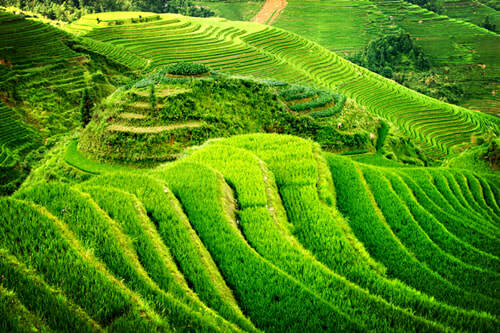 In the late afternoon, depart from the Longji Zhuang Village and Longji Rice Terraces on the way to Yangshuo. During the transit, stopover at Cuiping Hill, which provides an incredible scenic view overlooking the rural Yangshuo scenery. Overlook a river, rice paddies and karst formations in the late afternoon (for photographer's, the sunset photography is stunning!). Following Cuiping Hill, you'll be transferred to your Yangshuo Hotel to enjoy the evening at leisure. 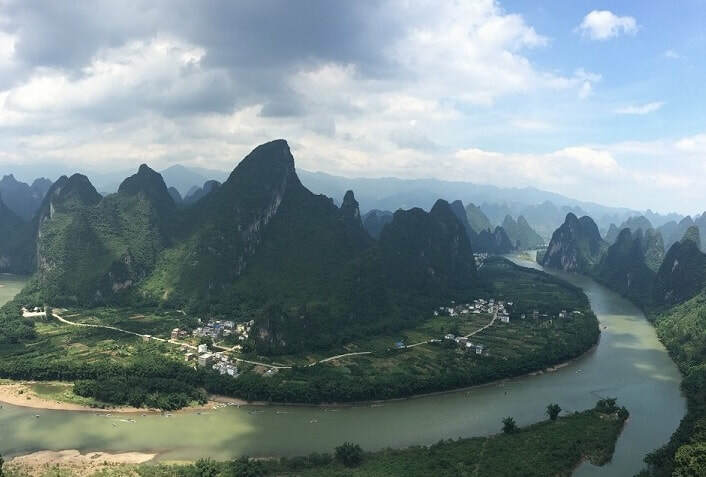 Meet your tour guide in the morning and begin the day with a visit to Xianggong Hill to see a spectacular bird’s eye view overlooking the Li River. 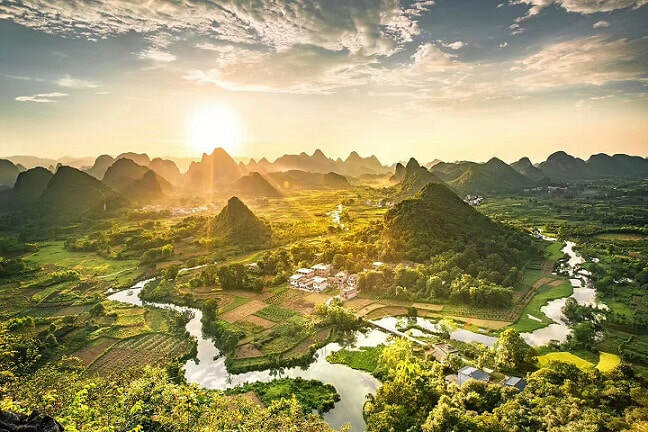 Following the visit to Xianggong Hill, explore the Yulong Valley and Yangshuo on bicycle, riding throughout local villages and beautiful valleys. Visitors can also choose to partake in a Yulong Valley walking tour if preferred. 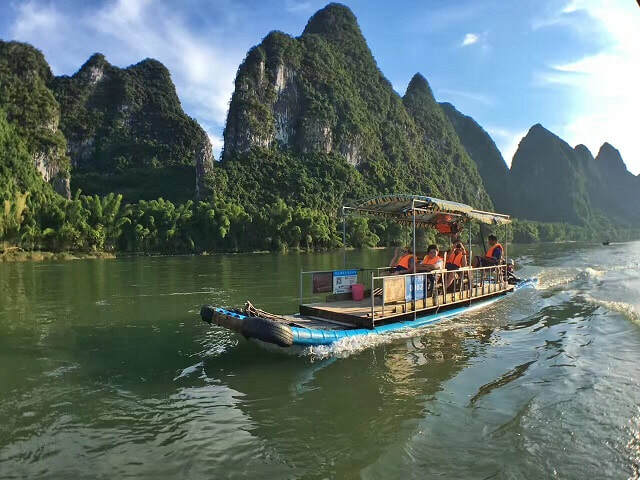 Afterwards, board your own Private Li River Cruise, travelling along what’s considered to be the most beautiful section of the Li River (Xingping - Nine Horse Fresco Hill back to Xingping) and experience a Cormorant Fisherman demonstration. At the conclusion of the Cormorant Fisherman Demonstration, return transfer to central Yangshuo and subject to time, enjoy a dinner at one of West Street's restaurants (not included in pricing). This evening, visitors have a special performance - the Impression 3rd Sister Liu Show is a famous show held on the banks of the Li River. 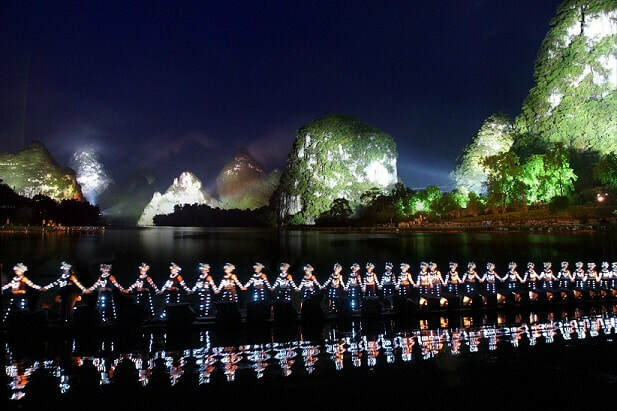 With over 700 actors and actresses utilizing the Li River as a stage, this is a must-see during your time in Yangshuo! At the show's conclusion, you'll be transferred to your Yangshuo hotel for the rest of the evening at leisure. END OF TOUR.